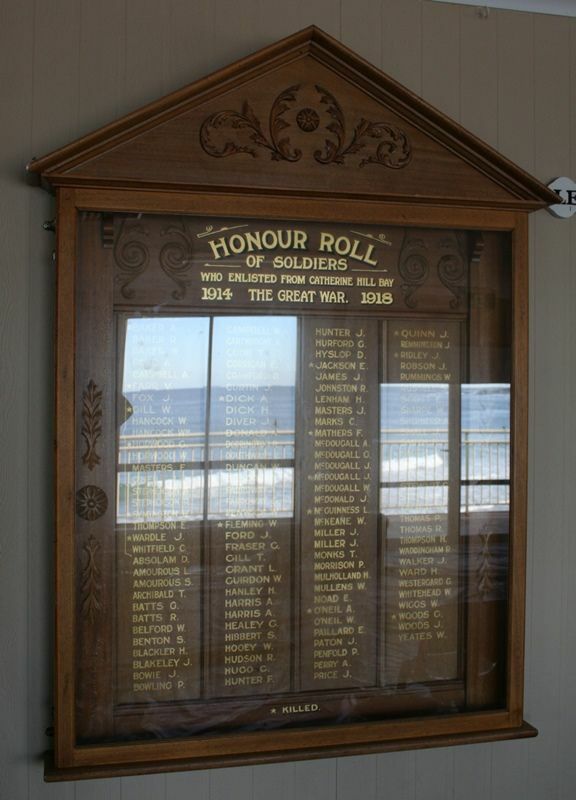 Catherine Hill Bay Honour Roll of Soldiers commemorates those who served in World War One. 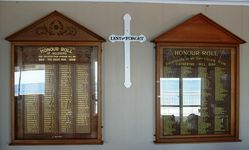 The unveiling of the roll of honour in memory of the men who enlisted from Catherine Bay took place on Saturday afternoon in the public school. After the singing of the National Anthem by the school children, Mr. Gillon, who presided, said they had met to honour those who had fought for us, and many of them had given their lives for King and country. At the inception of the war not one word was said against them, but the scene had changed, and men today were willing to do anything to get the soldier out of his position. Australians had to thank the soldiers for the privileges they enjoyed, and it was their duty to stand by those men who had done so much. Mr. Norton, managing director of the Wallarah Coal Company, thanked them for asking him to unveil the roll of honour. Catherine Hilll Bay had reason to be proud of the responses to the call of King and country. They should look upon the day as a holy day, and he would ask the audience to stand for two minutes in silence in memory of those who had made the supreme sacrifice. 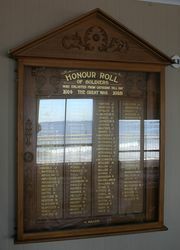 The honour roll, containing 125 names, spoke for itself, and would always be an influence for good to the boys and girls attending the schoool in the days to come. He had much pleasure, on behalf of the residents, in unveiling the roll of honour to the memory of the soldiers who enlisted from this centre. Newcastle Morning Herald and Miners' Advocate (NSW), 20 November 1920.